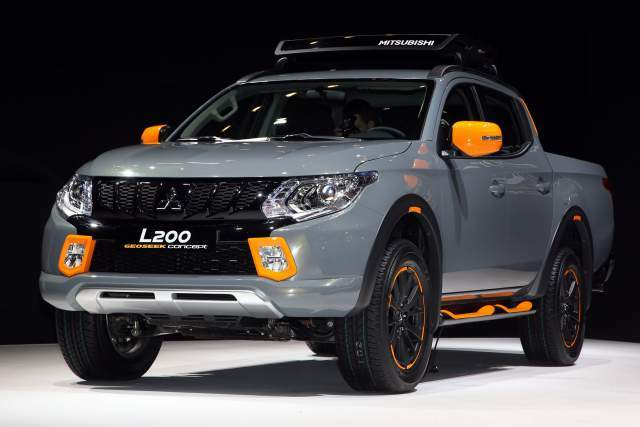 Mitsubishi may not be a big player in the pickup truck segment but the Japanese carmaker is determined to change its image of the back bencher. The company has given its Triton pickup a makeover for 2019. A few market specific limited editions of Triton pickup have also been unveiled in recent times. 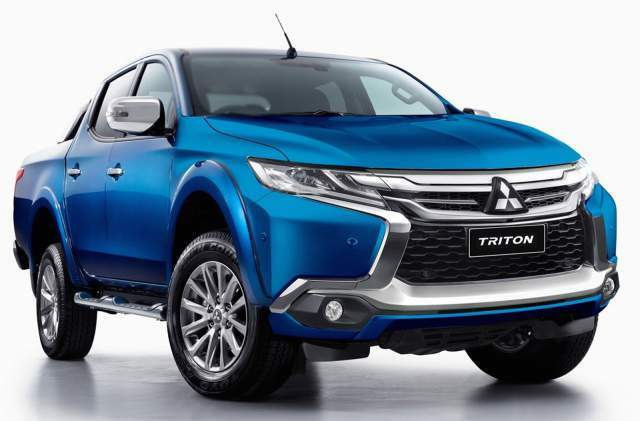 The new 2019 Mitsubishi Triton is not an aggressive off road ready truck and it does not fare very well in the luxury segment either. However, the range offers good choices for urban users looking for affordable and versatile pickups. The styling of 2019 Mitsubishi Triton is not remarkably different compared to the existing model. The curves in body and typical vertical slat grille are present. However, the body is not more aerodynamic in nature. It is offered in several trims and most are sold in four-door double cabs. Two door single cab models are also on offer. The Led lamps are new as are the alloy wheels. The Limited edition Blackline Triton is now on sale. It is based on the Triton GLS trim. As evident from the name, the Triton Blackline brings blacked out exterior and the same theme continues in its cabin. The UTE gets black door mirrors, grille, door handles and exclusive body decals. It is available in three colours- Starlight, Titanium and Black. The company has launched the Triton Athlete edition in Malaysia in recent times. It gets distinctive black Mica paint with Orange accents. The bumpers get Gloss black trim and it gets gloss black17-inch wheels. Even in the cabin this black-and-orange theme is there. The Perforated leather seats have orange stitching and centre console. It gets xenon HID headlamps, multifunction steering wheel, daytime running lights, dual-zone climate control and smart key system. 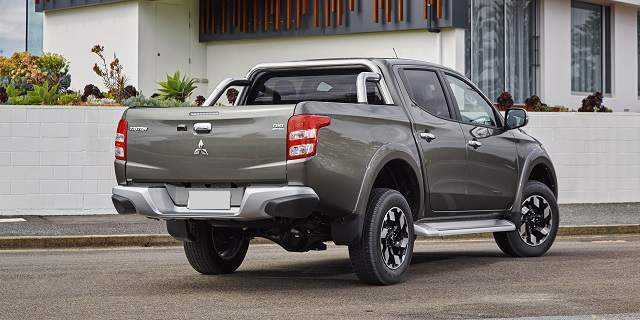 The Mitsubishi Triton 2019 is powered by a 2.4-litre turbo diesel engine. It gets mated with a five-speed automatic and six-speed manual gearbox. Ride quality is good and fuel economy is on par with category contenders. 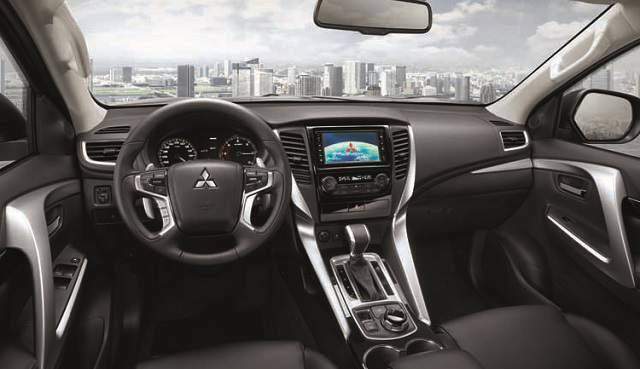 The 2019 Mitsubishi Triton is laden with advanced safety features and plenty of amenities. All trims get Seven airbags, Electronic Stability Control, Trailer-sway control and Electronic Traction Control. The touch screen display will be larger this time. The trims will get Dual-zone climate control, HID headlamps, daytime running lamps and fog lights. Optional features include heated front seats, leather seats, and keyless entry. A reversing camera is there as a standard feature. Also, some safety features may be offered in optional packages. The 2019 Mitsubishi Triton Blackline trim price starts at $43500. However, regular trim prices are expected to be lower. The vehicles will be made available for sale soon. The 2019 Triton gets moderate revamp and the special editions may help woo more buyers, as it is. However, the truck faces strong competition from the likes of Volkswagen Amarok and Mazda BT-50. Finally, the rivals outshine it in cabin space and acceleration. The Amarok, in particular offer more amenities and the cabin is more lavish too.